My friend Phil had an odd craving for shaved ice on a cold day in December! 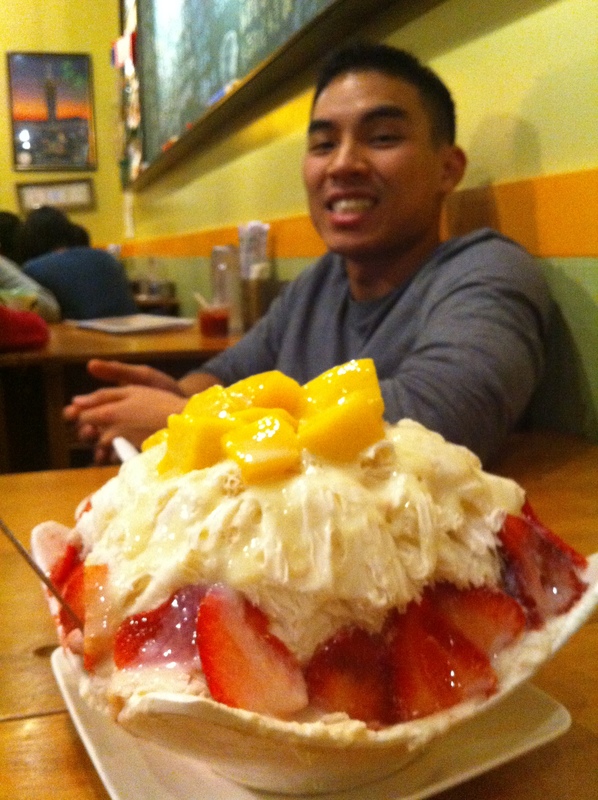 I was pretty hesitant about eating shaved ice at 9PM on a weekday, but I told myself YOLO. Yes, I said YOLO. Phil said YOLO. We all said YOLO. We went to Class 302 for their well known shaved ice. I’ve been to Class 302 a few times but I’ve only tried their porridge which I suggest you never getting. I’ve also tried their oreo mocha iced drink. Something like that. It was definitely better than the porridge. So we picked a simple shaved ice which had strawberries and mangos. It was pretty good. 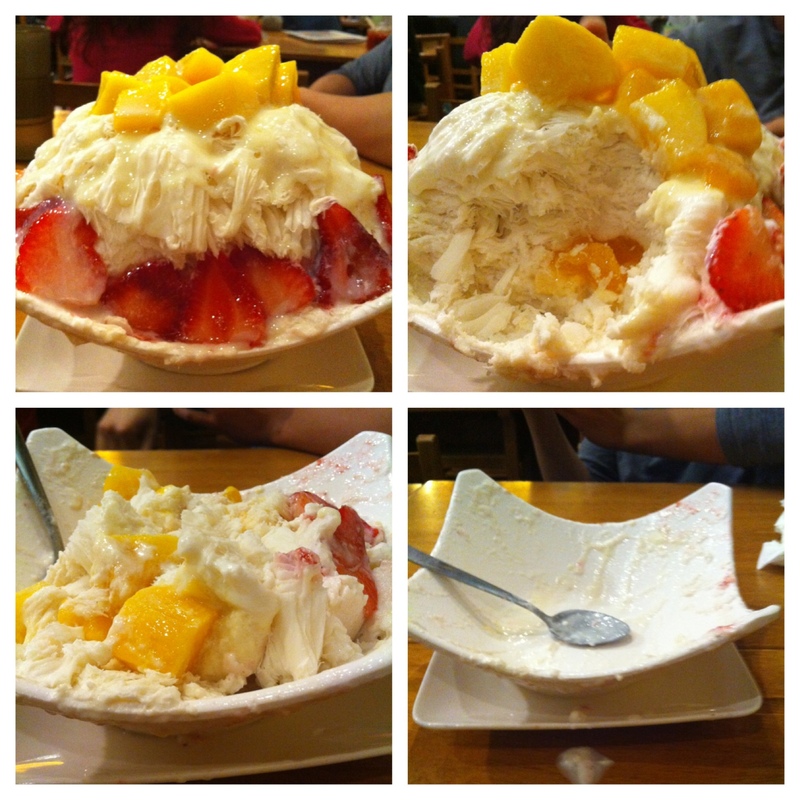 The shaved ice was definitely huge! It’s probably good enough for 4 people. Somehow, we were able to kill it just the two of us. Don’t ask me how we were able to do that. The shaved ice was a little better than expected. I understand why people rage about the shaved ice, but I’m pretty indifferent about it for the most part. I guess it’s because I’m not a huge shaved ice fan. I have to say that it was better than Guppy’s shaved ice. The condense milk at Class 302 was not as too strong or too sweet as Guppy. Thanks Phil for craving shaved ice since I was able to try something new! Remember #yolo.